Therapy has been shown to have benefits for individuals who take part in it. Therapy often leads to a greater personal awareness and insight; significant reduction in feelings of distress; increased satisfaction in interpersonal relationships; increased skills for managing stress; problem resolutions; and progress towards treatment goals. However, there are no guarantees about outcomes or what will happen during the counseling process. What can I expect to happen during the intake session? During the first intake session, I review with the client(s) informed consent and HIPPA documents, which outline what one may expect from the therapeutic process, as well as his or her client rights. I also go over other documents that outline my policies; as well as a New Client Intake Questionnaire, which gives me a good idea of the client's history, and what treatment goals he or she would like my assistance with during therapy. Will I receive treatment from a qualified and credentialed clinician? Absolutely! Lia Jamerson, MA, LPC, NCC is a Licensed Professional Counselor in the State of Michigan where she practices. 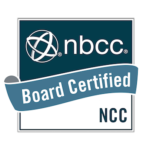 Lia is also Board Certified as a National Certified Counselor by the National Board For Certified Counselor (NBCC). Lia Jamerson has been a proud member of the Psi Chi International Honor Society since 2011. Lia has also been a member of the American Counseling Association (ACA) since 2015. Lia is Psychology Today Verified. Lia Jamerson holds extensive experience working with a diversity of individuals in the mental health field. For more information about Lia Jamerson, MA, LPC, NCC's work history and experiences working in the field, feel free to visit the About Us page. What type of setting can I expect at Dayspring Vision Counseling, PLLC? Dayspring Vision Counseling, PLLC provides a welcoming, safe and supportive environment for individuals of all ages, genders, cultures, religions, sexual orientations, and backgrounds to receive therapeutic services. Dayspring Vision Counseling, PLLC is located in Troy, Michigan. Dayspring Vision Counseling is available to provide therapeutic services and professional consultation to individuals located in Birmingham, Bloomfield Hills, Troy, Rochester Hills, Royal Oak, Clawson, Berkley, Ferndale, Farmington Hills, Auburn Hills, Novi, and other areas within the Oakland County, St. Clair County, Wayne County, and Macomb County regions. The standard fee for the initial intake is $120.00 and each subsequent session is: A. $80.00 for a 45 minute individual session; B. $100.00 for a 1 hour individual session; C. $120.00 for a 1 hour couple or family session; or D. $150.00 for a 2 hour individual, couple or family session. Dayspring Vision Counseling, PLLC accepts the following payment methods: cash, check, American Express, Visa, Mastercard, Discover, Employee Assistance Program (EAP), and certain insurance plans (including Blue Cross Blue Shield and Blue Care Network). Yes I do accept insurance. I accept Blue Cross Blue Shield, Blue Care Network, Health Alliance Plan (HAP), Optum Behavioral Health: UnitedHealthcare, Medicaid, McLaren Health Plan, and Employee Assistance Program. In addition to this, the methods of payment that are accepted include cash, credit card and/or check. If you do not see your insurance carrier listed above, and want to inquire about whether or not your insurance is accepted, please do not hesitate to ask.